The Talking Information Center (TIC) is a non-profit reading service that broadcasts newspapers, magazines, books, and special consumer information 24 hours a day, 7 days a week, to the blind and print impaired. President Jacky Keith has been reading for TIC every Saturday morning for over 35 years, sits on the board, and was awarded the Presidential 1000 Points of Life Initiative for completing more than 2000 hours of volunteer service to TIC. Every year, TIC organizes a Wine Dinner with silent auction at a beautiful restaurant. Wines are paired with the various courses and a wine expert serves as guest speaker. 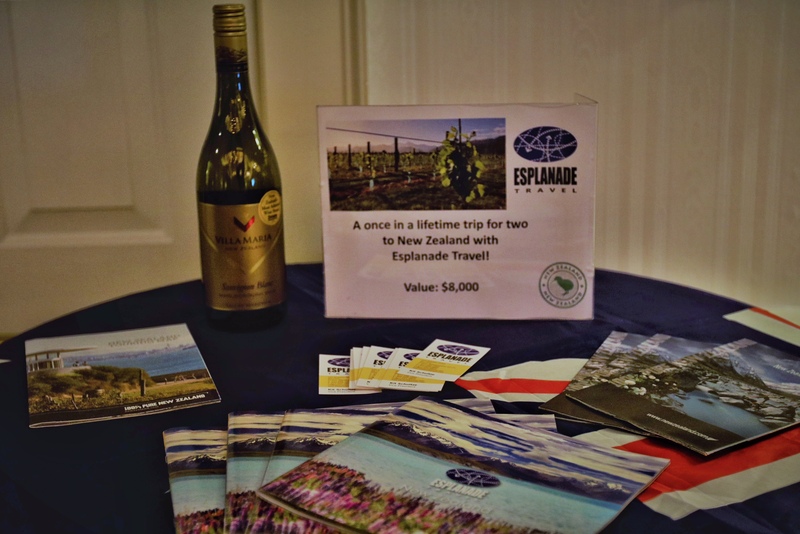 This year, Esplanade donated a fabulous trip to New Zealand valued at $8,000.00. The trip included two nights in the Marlborough wine region and three nights in Queenstown, an adventurer’s dream destination. Also included were round trip airfare, guided touring, and a combination helicopter and cruise excursion! The high bidder bid over 80% of value, with full proceeds going to TIC. It was a very successful event, as TIC ended up with $65,000 – double last year. Esplanade Travel takes great pride in our President’s service to TIC and were thrilled with the contribution the trip to New Zealand brought in for the organization.